What is this place? What are these guys doing there? Ans – Picture taken during Director Shankar’s visit to Stan Winston Studios, which will be doing the animatronics for his next movie Endhiran (starring Rajini). Andy is the only one who got this completely right. 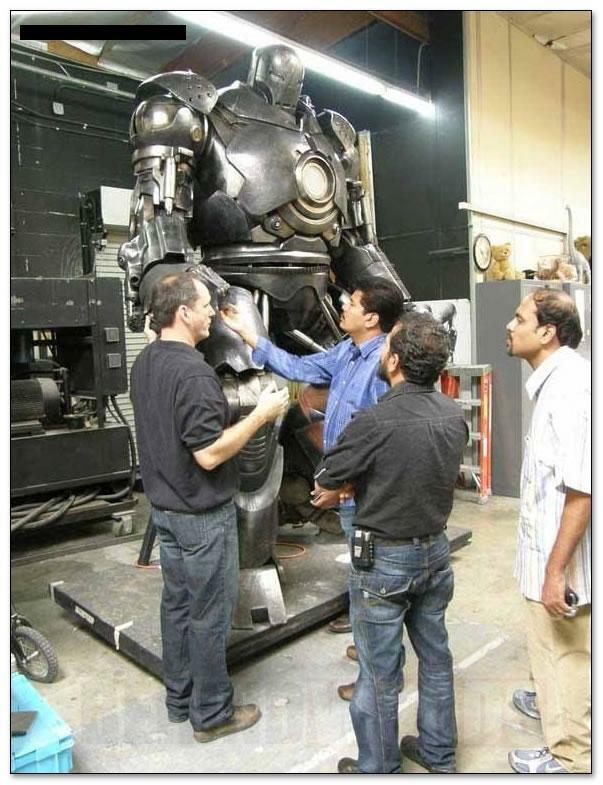 that is the iron monger costume.. google should yield rest of the answers – special effects studio? I see Tamil ‘director’ Shankar in the photo. The location must be Stan Winston Studios. SWS is designing the robo props for Shankar’s upcoming flick with Grandfather Rajni called Enthiran. It will be a pukefest if Shankar uses leftover Ironman props in Enthiran.